Facebook is one of the leading social media networking sites to share photos and pictures. Unfortunately it doesn’t allow you to store the pictures and photos. But, don’t worry now you can easily store the pictures, events, photos from the Facebook with the help of Facebook Image Grabber App. It is a free app and gives you the freedom to save photos you find in Facebook in your phone directly without the help of computer. Yes, if you want to do that, then simply install this app and start browsing for pictures or images. You can save that with default file name or save as with the file name that you want, or simply just view it in your preferred gallery app. Moreover, this app also allows you to browse your previously saved photos in a built-in image explorer that is fast and work just right. You can delete, rename, and view your photo in the image explorer. 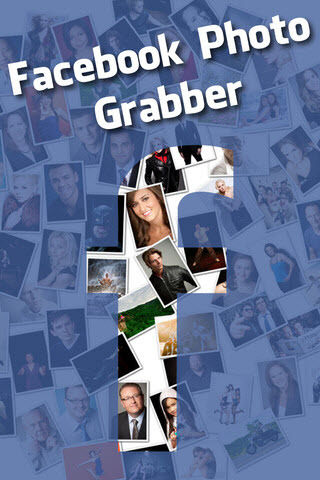 The Facebook Image Grabber App is very easy to use. The photo will present on the top part of the app, at the bottom of the app, you will see three options that will allow you to save a photo, change its file name, or view the file in the Gallery mode. In the middle part of the app you can see the Saved Image Explorer, there you can find all your previously saved photos. If you long press the Saved Image Explorer you will get three menu item to Delete, Rename and View the photo. On the app’s main screen, you can see the preview of all the pictures you have saved from Facebook. You also have the option to view your images in your phone’s image gallery. The app also lets you to create a folder where you can store all the files. Eventhough this Facebook Image Grabber App is straightforward, it has some issues especially screen size compatibility. The LG Optimus G smartphone users could not find the options at the bottom of the screen. They need to change their screen into Landscape mode. But it works smartly in the Samsung Galaxy Note 2. It allows you save the Facebook photo directly, without leaving the Facebook app. Refresh Gallery, a menu item that let you tell android media scanner to scan for new photos. You can save the photos from Facebook with Facebook share function. The Photos saved in this app will instantly visible in Android Gallery too. This app was built in image explorer for fast viewing of your saved photos. It supports double tap zoom/pinch to zoom image viewer. It also provide the option to rename, delete or view your photo gallery. It has the Supports from FroYo to Jellybean devices.